Real-time digital content personalization is growing up, and the rise of marketing solutions that enable marketers to finely personalize digital content for visitors based on array of data attributes is maturing. This paper discusses a phased approach in which enterprises capture clickstream data and bring that data in-house to be merged with other sources of customer data. 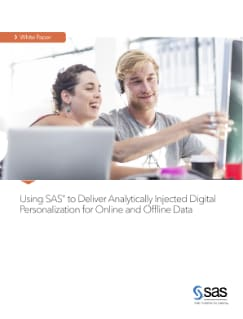 Their analytics team can use this merged data to build sophisticated predictive models that can be deployed into real-time digital-personalization applications. In the final phase, enterprises continuously improve their predictive models in an iterative process.